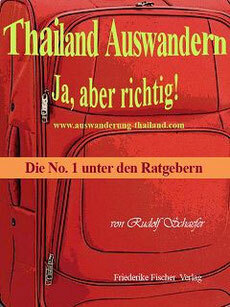 Nachrichten aus Thailand - Thailand Auswandern. Hier finden Sie die aktuellsten Nachrichten aus Thailand zusammengefasst. Wir haben hier vor allem die wichtigsten deutschsprachigen Nachrichtenquellen zu Thailand für Sie eingebunden. Darüber hinaus finden Sie hier auch die aktuellen Nachrichten aus Thailand in englischer Sprache (aus den Zeitungen „The Nation“ und „Bangkok Post“). Weitere wichtige Infos und Wissenswertes für Auswanderer und Langzeitreisende in Thailand finden Sie auch in unserem Blog. Wieso Thailand jedes Jahr eine riesige Wasserschlacht veranstaltet TRAVELBOOK Zum Songkran-Fest finden überall in Thailand riesige Wasserschlachten statt. Wieso das so ist, erklärt TRAVELBOOK. Ko Sichang - Deutsche Urlauberin in Thailand getötet Süddeutsche Zeitung Auf der thailändischen Insel Ko Si Chang ist eine 26-jährige deutsche Urlauberin ermordet worden. Der mutmaßliche Täter wurde festgenommen. Nachrichten Thailand aus "Der Farang"
The blasts took place at St. Anthonyâs Church, St. Sebastianâs Church, and a third in Batticaloa besides Shangri-La Hotel and Cinnamon Grand Hotel. Simona Halep's dream of adding a maiden Fed Cup title to her Roland Garros breakthrough triumph was on a knife-edge Saturday as Romania and France ended the opening day of their semi-final locked at 1-1. COLOMBO: A string of blasts hit high-end hotels and churches in Sri Lanka on Sunday, injuring hundreds of people as worshippers attended Easter services. Thai people believe politics and corruption are the most severe problems facing the country, followed by the lack of democracy and a weak economy, according to the result of an opinion survey by Suan Dusit Rajabhat University, or Suan Dusit Poll. Concept cars from Kia and Hyundai’s upmarket nameplate are showing the way for electric mobility. The Songkran festival seems to have gone on forever this year. There are definitely an awful lot of city people who slipped away for a “long weekend’’ about 10 days ago and haven’t been seen since. Not to worry. By the time they get back they should be just in time for another long weekend. The disappearance of former immigration bureau chief Pol Lt Gen Surachate Hakparn following a lightning transfer has sparked wild speculation. Most passersby walking under the bustling Thonglor BTS station and past the mufflerless tuk tuks speeding by will probably miss this place. Hidden behind a row of newspaper stands and food carts sits what appears to be an unassuming Bangkok cafe: The Green Lantern.